Overflowing Rain Gutters send water in every direction. Overflowing Rain Gutters are often the sign of a problem. There are several sources that can cause a rain gutter to overflow. The best way to detect a problem is, grab a rain coat and head outside while it’s raining. Snow and Ice melting can also expose the roofing underlayment and roof sheet metal to leaks from water backing up. When water backs up on the gutter or roof it goes in between the roof and attic. Due to rain gutter problems water damage will eventually show up as expensive soffit damage, fascia damage or interior damages. Water damage from lack of gutter cleaning / repair can destroy ceilings, walls, floors, cause mold, and even cause concrete foundation cracks to appear. Basements can easily be flooded. By having a skilled roofing mechanic adjust, clean, repair and maintain rain gutters, customers can save large amounts of money. When exterior home repairs are neglected they age very quickly because of the Sun’s Ultra Violet effects and the elements of weather, damaging insects and rodents etc. 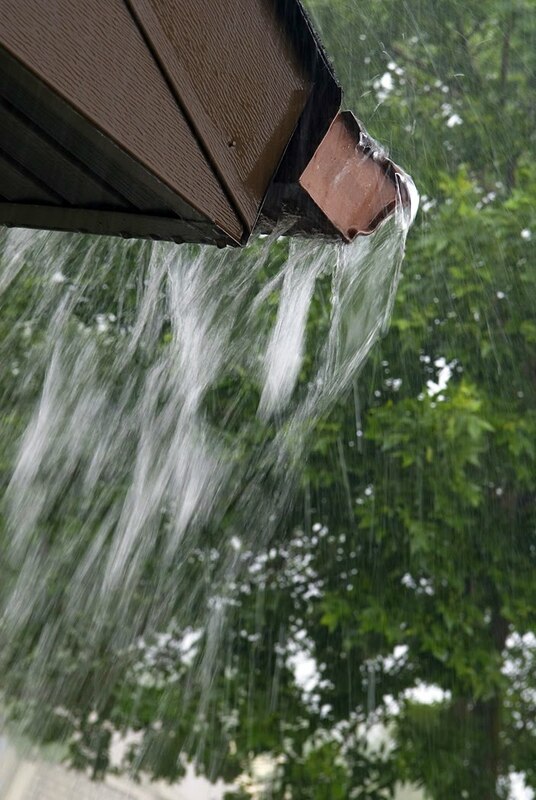 The easiest way to detect a problem with your rain gutters is to schedule a Rain Gutter Cleaning with Allied Roofing. That includes a free roof inspection and exterior home maintenance inspection. Very.pertinent information. I knew exactly.what to look for and stopped damage from becoming worse than what it could have been. Saved.me a lot of money. Previous Previous post: Highland Denver Colorado Roof and Siding Replacement. Next Next post: Do your gutter guards suffer from Ice Dams?